At Scholastic, we love books. But there’s one book we hate: the Book of Monsters! This talking spellbook is so evil he’s actually ALIVE! Lava Monsters and bad guys leap from his naughty pages. 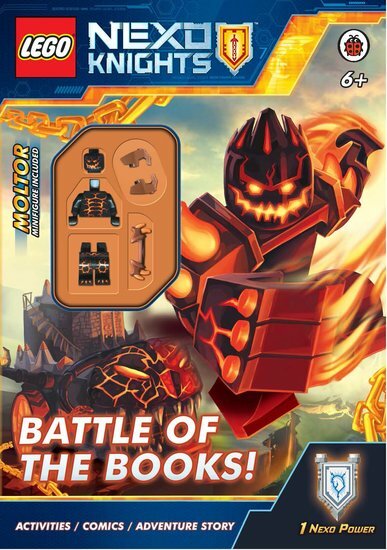 Now it’s time for the Nexo Knights™ to battle this pesky villain and the hideous monsters he’s made. Can YOU defeat the Book of Monsters in these cool puzzles and activities? Yes? Well – don’t relax just yet. The Book of Chaos is coming!